Previous studies have identified neuron navigator 2(NAV2) as an oncogene in several human tumors. However, the NAV2 gene expression changes and its role in the pathogenesis of cutaneous melanoma have not been clearly illustrated. Further investigations of NAV2 in cutaneous melanoma may provide new mechanistic insight and treatment strategy for this disease. Through immunohistochemistry assay and bioinformatics analysis, we found that melanoma tissues showed an upregulated expression of NAV2 which correlated with poor prognosis of cutaneous melanoma. To investigate the effect of NAV2 on the proliferation and invasion of melanoma, shNAV2 and NAV2-cDNA were transfected into melanoma cell lines. NAV2 overexpression significantly promoted melanoma cell proliferation, migration and invasion, while NAV2 silencing effectively inhibited this process. The potential underlying mechanisms were investigated using bioinformatics analysis, qRT-PCR, and western blot. Results showed that NAV2-mediated invasion of melanoma cells was driven by enhanced epithelial–mesenchymal transition, which was resulted from SNAI2 upregulation via the GSK-3β/β-catenin pathway. 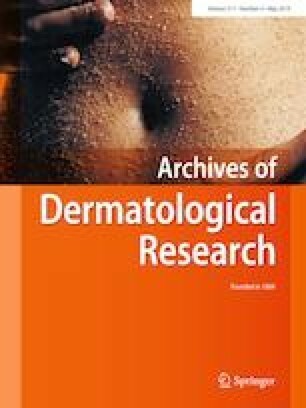 This study suggested that NAV2 could induce melanoma proliferation and invasion by epithelial–mesenchymal transition through the GSK-3β/β-catenin-SNAI2 pathway. Our findings on the pathological mechanisms of NAV2-associated cutaneous melanoma may contribute to the development of potential therapeutic strategy for melanoma. The online version of this article ( https://doi.org/10.1007/s00403-019-01909-w) contains supplementary material, which is available to authorized users. We acknowledge all the colleagues who participated in this study. This work was supported by the National Natural Science Foundation of China (No.81472000). All procedures performed in this study involving human participants were approved by the Ethics Committee of Tongji hospital and in accordance with the declaration of Helsinki.